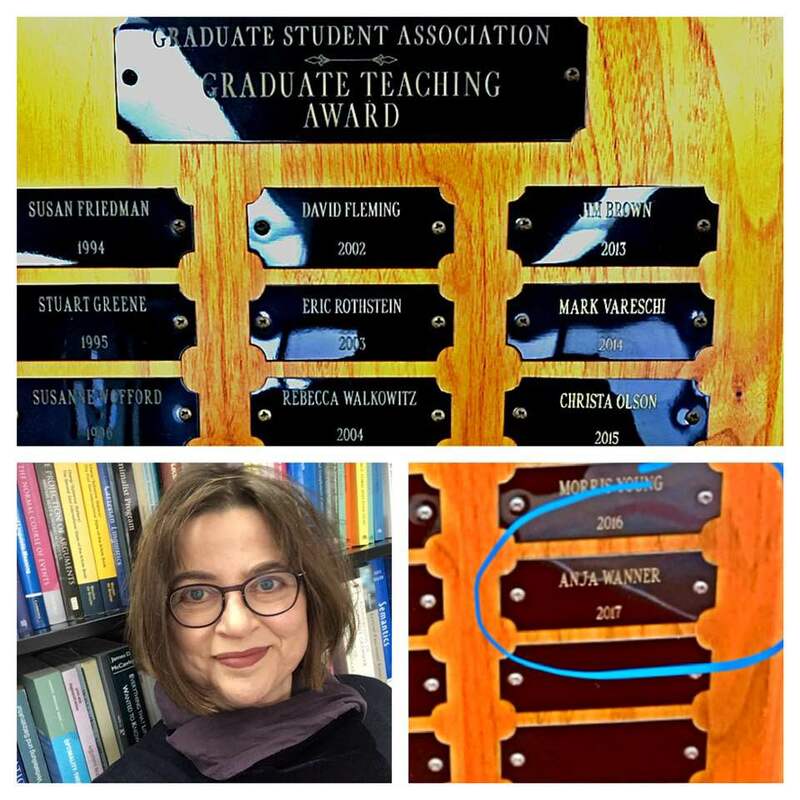 The other day, as I was rearranging the chairs in our conference room for a meeting with our graduate students, I saw a plaque with my name and the year 2017 engraved on the wall. It turns out that, unbeknownst to me, I won the annual Graduate Teaching Award given by the Department’s Graduate Student Association. This is a coveted award in our department and it has never before gone to a linguist, so I am extra grateful for this recognition and for our graduate student’s support. 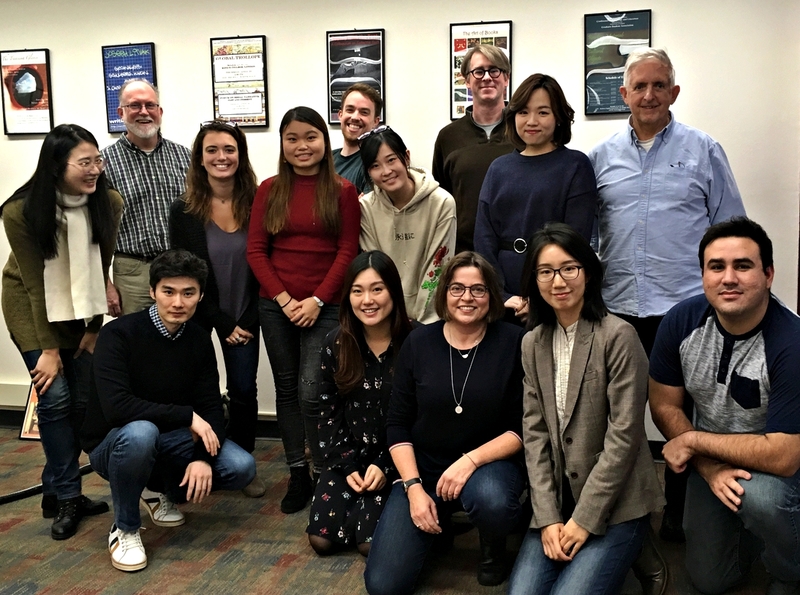 Fortunately, since we were about to have our fall pizza meeting, a number of our graduate students were in the room and I could thank them right away. You are the best! This entry was posted in Teaching and tagged award, teaching by Anja Wanner. Bookmark the permalink.